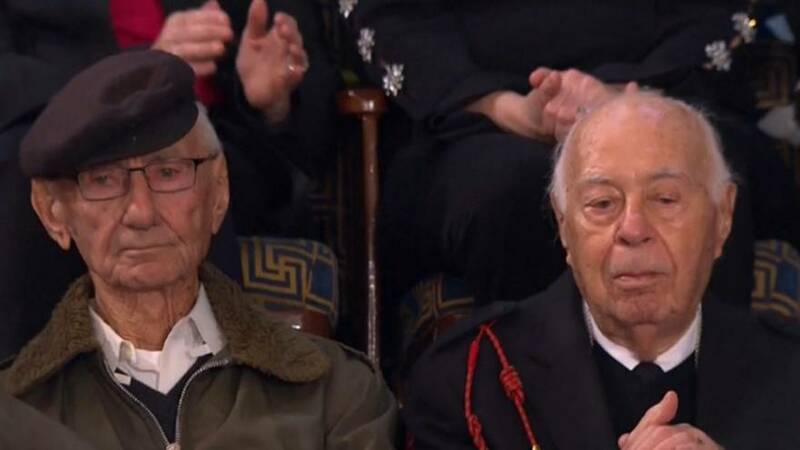 A Holocaust survivor and one of the soldiers who liberated the German concentration camp that he was imprisoned in sat side-by-side during US President Donald Trump’s State of the Union address. Joshua Kaufman was a prisoner at Dachau concentration camp, where he remembers watching as US soldiers arrived with tanks, Trump said. He went on to explain that the man sitting next to Joshua, Herman Zeitchik, was one of the soldiers who helped to liberate the camp. “Almost 75 years later, Herman and Joshua are both together in the gallery tonight — seated side-by-side, here in the home of American Freedom. Herman and Joshua: your presence this evening honours and uplifts our entire nation,” he said. The announcement was met with a standing ovation as the two men waved and saluted to the crowd. Watch this moment by clicking on the video player above.